Well photography has gained its position from a profession to a hobby, habit, time-pass. 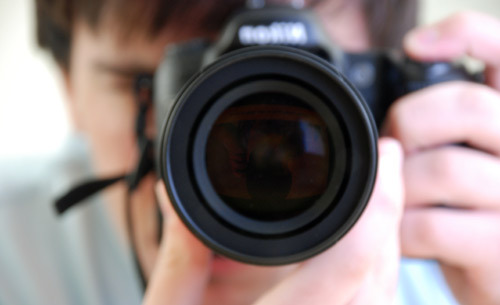 With cameras available on cell-phones, tablets and various mobile devices every person carries a camera along with him. Whether it is your loved ones, a beautiful landscape or anything unique worth capturing or sharing is just a click away. But there are people who instead of using these mobile cams use professional cameras as they are more sensitive about the images they capture. Such cameras are known as DSLRs and the latest MILCs. 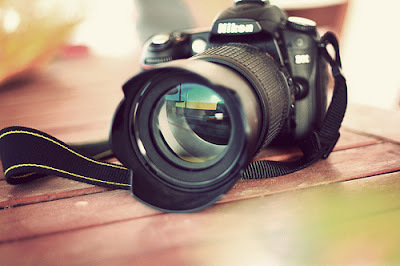 The DSLR Cameras got its root from SLR cameras; SLR (single lens reflex) cameras are analog cameras where two light paths are present one between lens and target and other between target and viewfinder. These two different paths result in a picture slightly different from what you saw on viewfinder. DSLR or the Digital version of SLR is basically an SLR that saves images in a memory card instead of film reel. It shares a lot of the features of the SLR along with a few more improvements that makes it a lot more superior. We all have seen DSLRs in hands of professionals and some hobbyists. But now the market is introduced with another image capturing device. 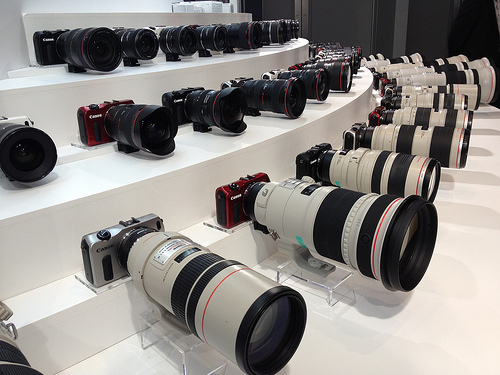 Some of the examples are Canon Eos 1DX DSLR, Nikon D4, Nikon D 7000 etc. Compact System Camera (CSC), Mirrorless System Camera (MSC), Digital Single Lens Mirrorless (DSLM), Digital Interchangeable-Lens System camera, and finally Electronic Viewfinder with Interchangeable Lens (EVIL); are the terms used to define this new advanced species of cameras. These have a LED screen behind them for viewing. Examples are Nikon 1 J1,J2; Canon EOS M etc. 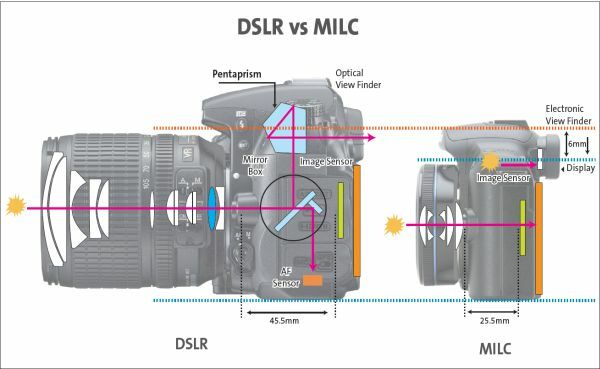 The question is what these are exactly, how they are different from DSLRs and which of the two is better? Well where DSLRs excellent quality cameras come along with a lot of lenses, these tuff as tank cameras gives great quality images whereas what adds to MILCs is their compact size and light weight although similar to DSLRs they are also versatile with changing lenses and all. The MILCs working is a bit different which takes the advantage of miniaturization of LED display. The light is incident on the lens and is shot directly onto the sensor which than enhances and projects it on the screen at the back of camera. MILCs have a disadvantage of not able to provide god quality images in low light whereas DSLRs can. 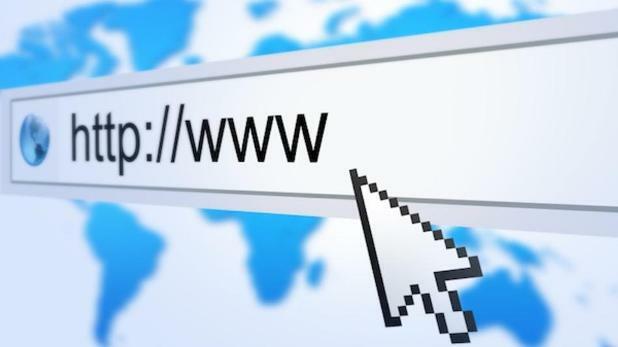 what makes you click ?